Hi my darlings, I hope you are having a great week! I've been away for a couple of days enjoying the beauty of Irish wilderness in west of Mayo, recharging my batteries before new projects, challenges and classes. It was my so much needed time with my husband I'd promised him in... ehm... June? 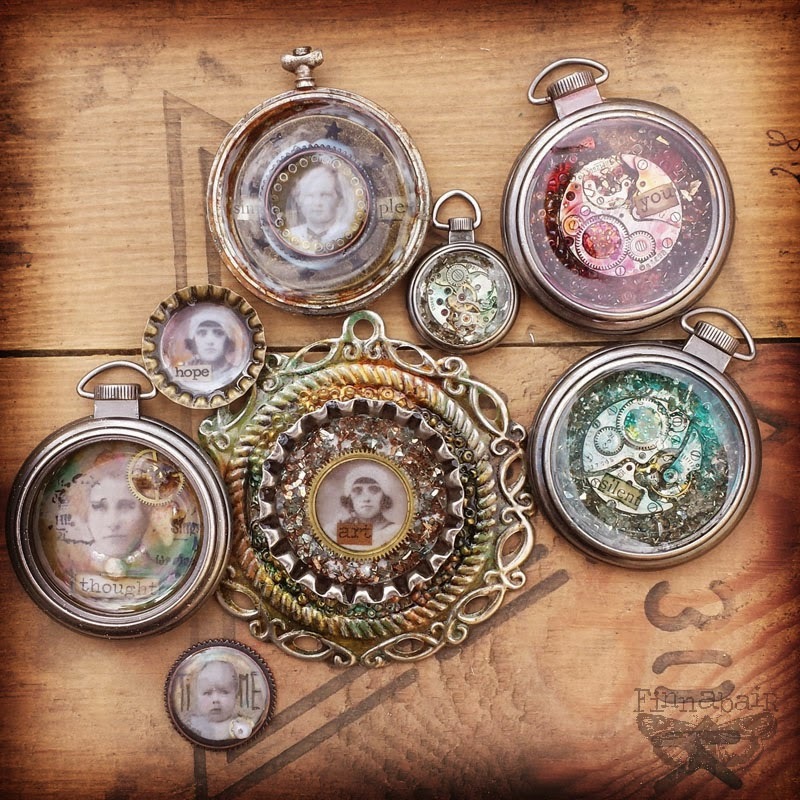 Altered Pendants - a bit vintage, a bit steampunk... something for everyone! 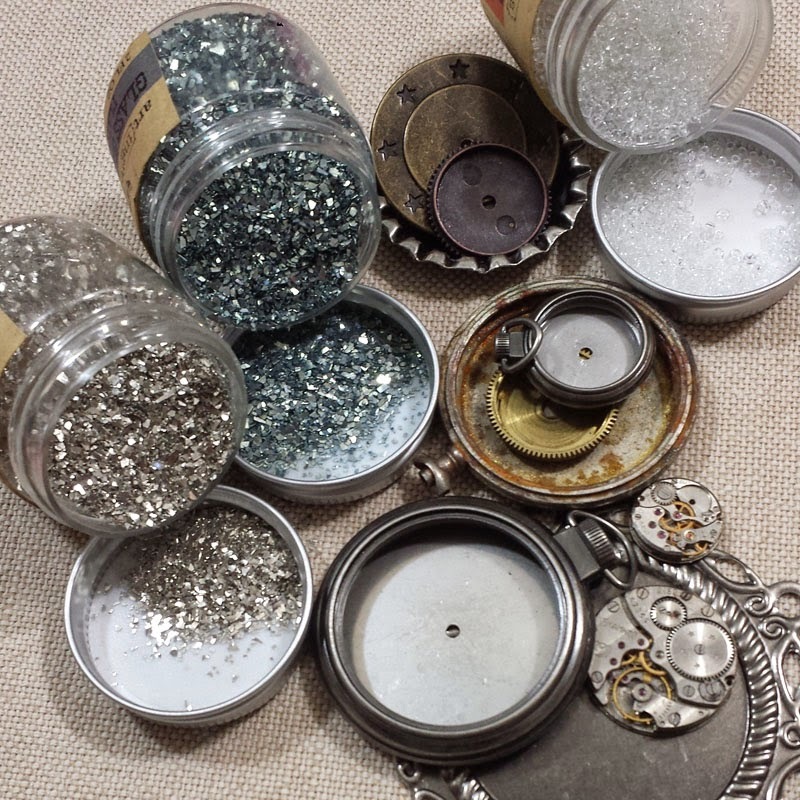 The idea is very easy: combining Prima Mechanicals (especially the big ones: caps, pendants, watches and pendant caps) with a dose of bling: Art Ingredients Glass Beads (it's amazing how they are matching ANY kind of project) and mixture of Glass Glitter adding amazing sparkle and depth. I started a couple of weeks ago - just experimenting with Ice Resin, but last night the madness started... Just have a look! 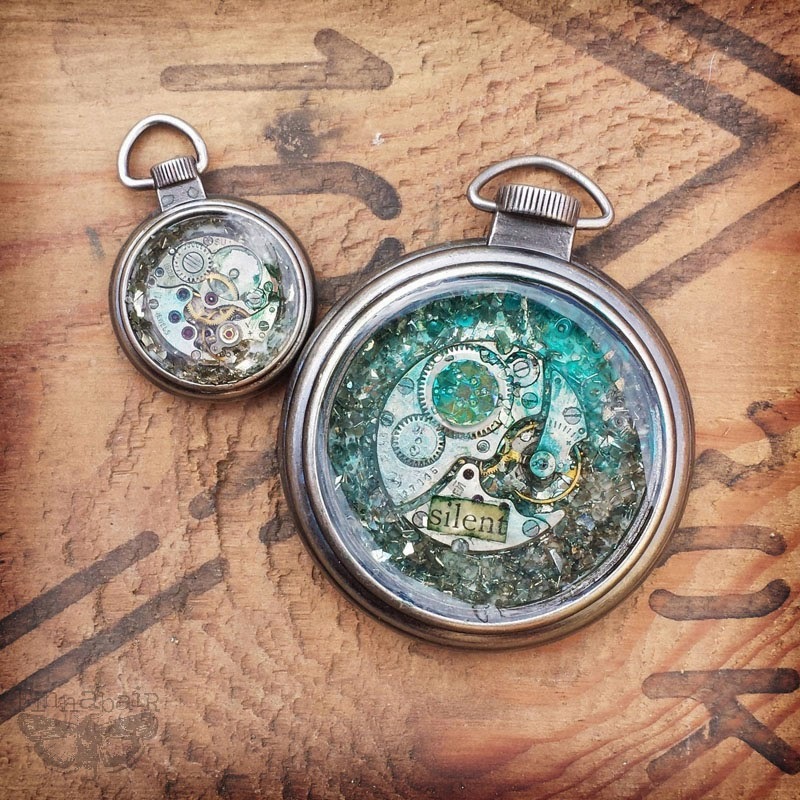 You know I love everything industrial, mechanical, steampunk - so of course I had to try simple combination of watch parts with Art Ingredients and the effect is far better than I expected. 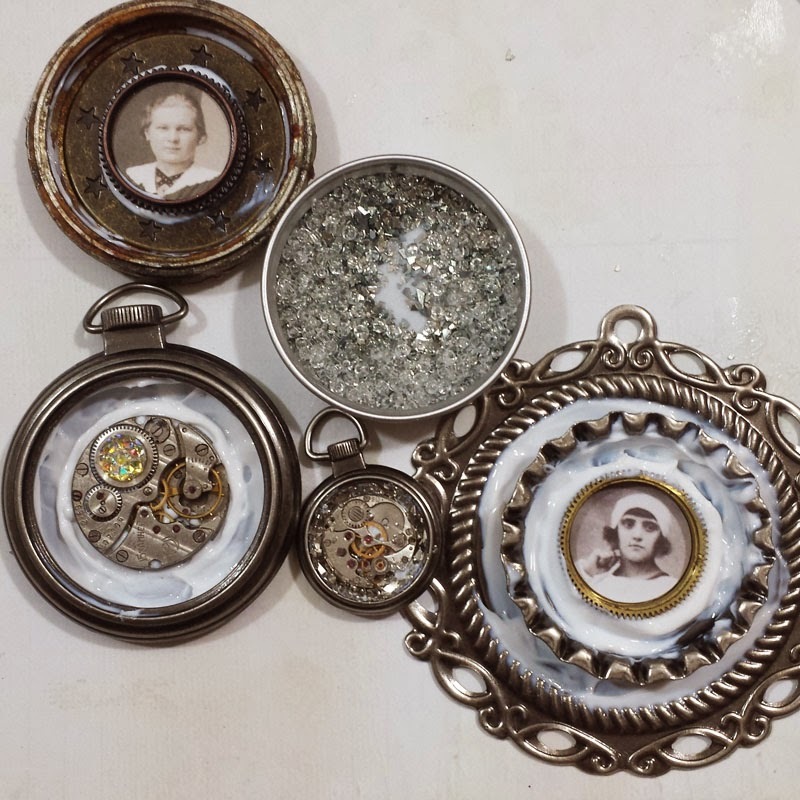 Then I started including vintage photos into my pendants (Tags and Stickers from my 7DS "Cold Country" collection) and to be honest - I think they look cool :) It's an interesting mixture of vintage and industrial look... which makes my heart melt. Oh well... Just give me more stuff and time!!! 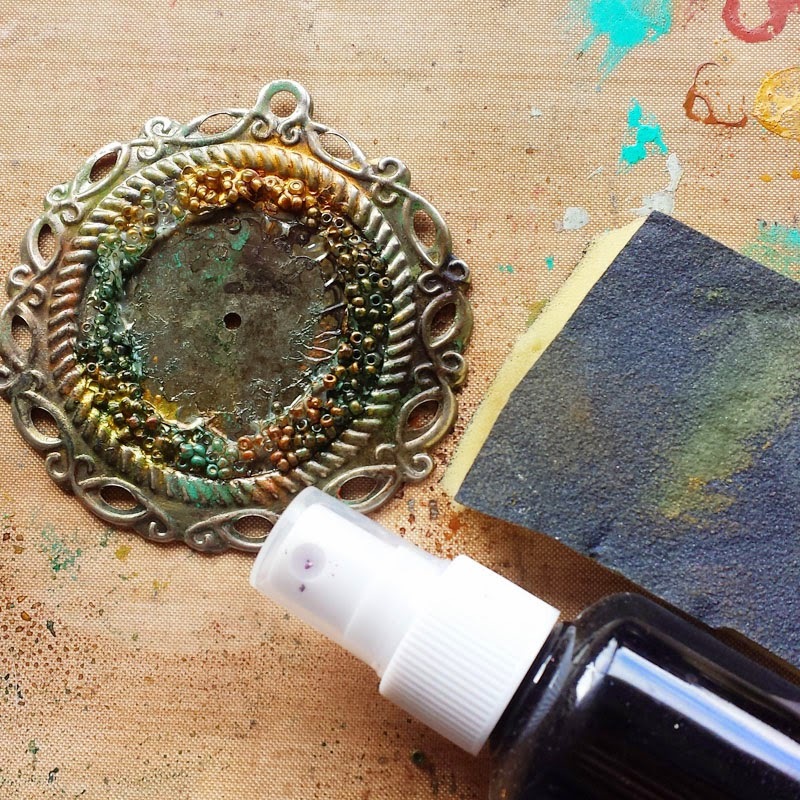 So, here it goes - Art Recipe for Altered Pendants and simple step-by-step tutorial for you! 1. 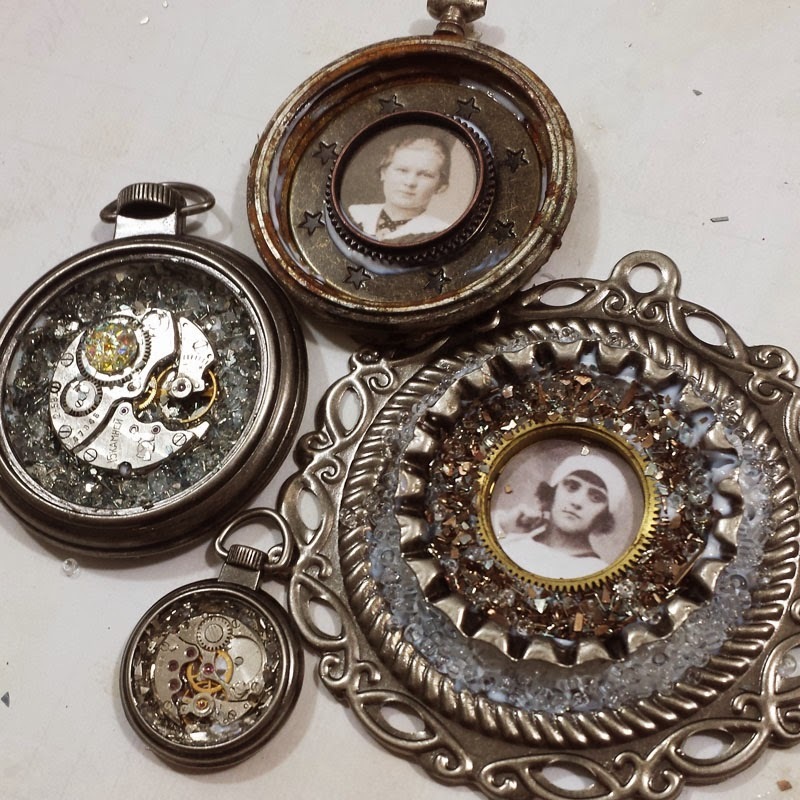 First step is choosing the right elements to assemble your pendants (of courser you don't have to use them as pendants later, right? 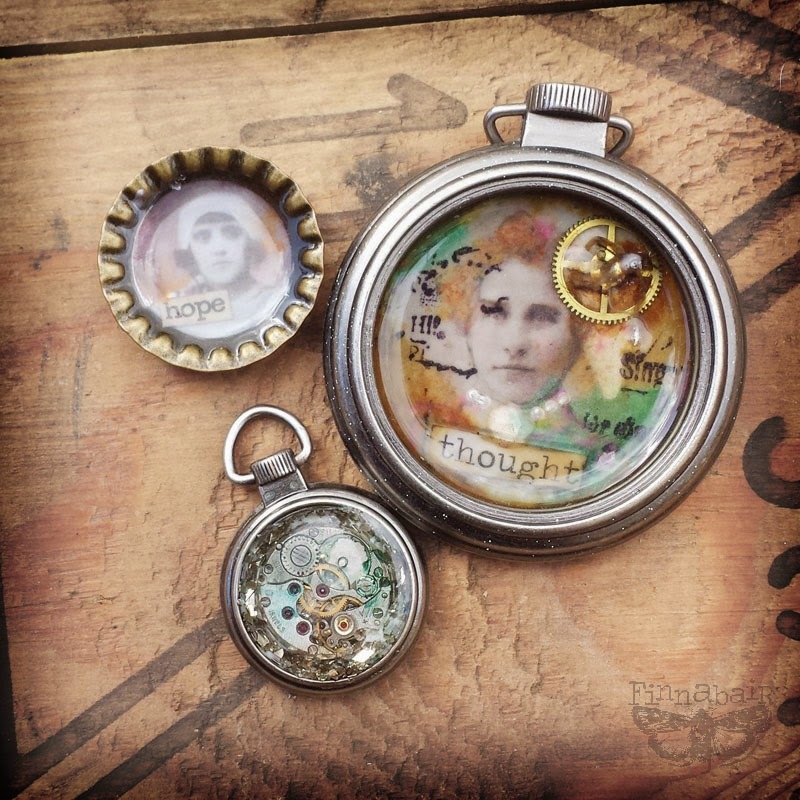 Try thinking about key rings, fridge magnets or stylish home decors... or maybe big embellishments for your altered books or journals? Possibilities are endless!) As I'm a hopeless collector (turning into hoarding lady very soon, I suppose!) I have a nice selection of elements to choose from - but for this post I focused mostly on supplies which will be easier to get by most of you: Prima Mechaniclas, watch and clock parts, Prima crystals, and stickers from "Cold Country" collection instead of vintage photos :) Art Ingredients Glass Beads and Glass Glitter were the "bling and sparkle" factor! 2. I started with putting all elements together - I used Art Basics 3D Gloss Gel and Soft Matte Gel which I put in a fine tip bottle. 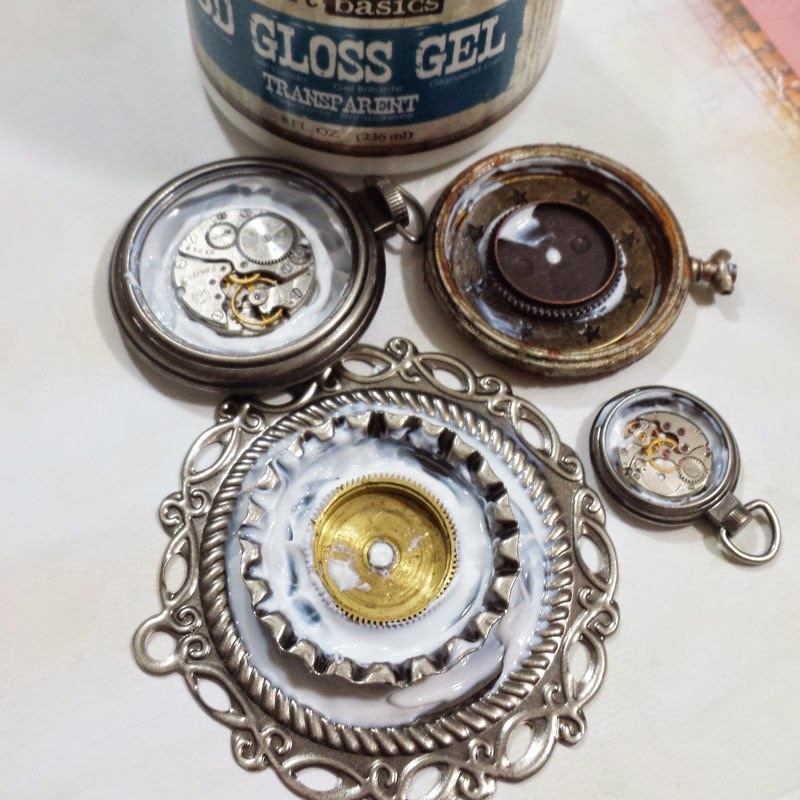 They work great but it's important to let them dry perfectly until they get clear before adding a coat of Ice Resin - or they will stay white forever :) I didn't glue the big bottle cap on the biggest pendant properly - I wanted to remove it later to decorate the base without it. 3. 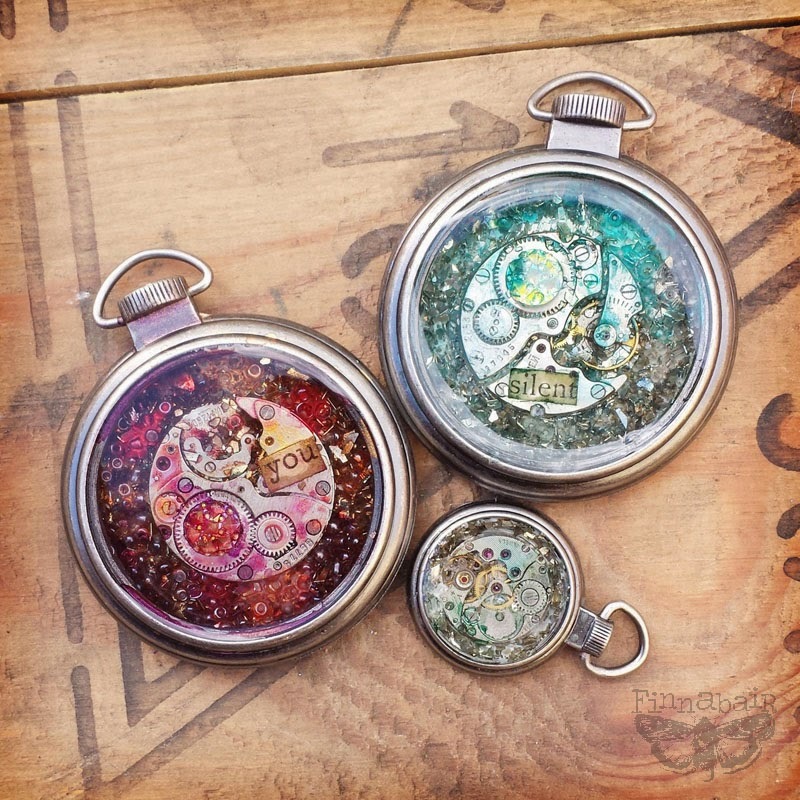 I let the gels dry for a moment - they got more sticky - and I sprinkled my Art Ingredients in the desired areas: inside the watches and caps and around the big pendant. To create more interesting effect I mixed different shades of Glass Glitter and Glass Beads for different sections of the projects. 4. 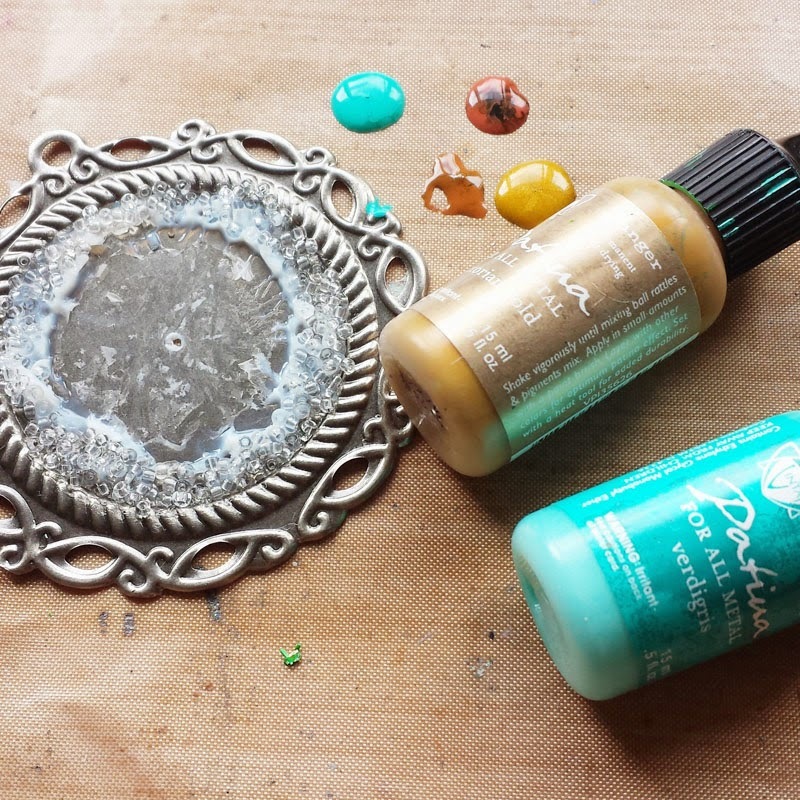 Using Soft Matte Gel which I'd put into a bottle with fine tip applicator a couple of days ago I added some crystals, beads and texts in my pendants. 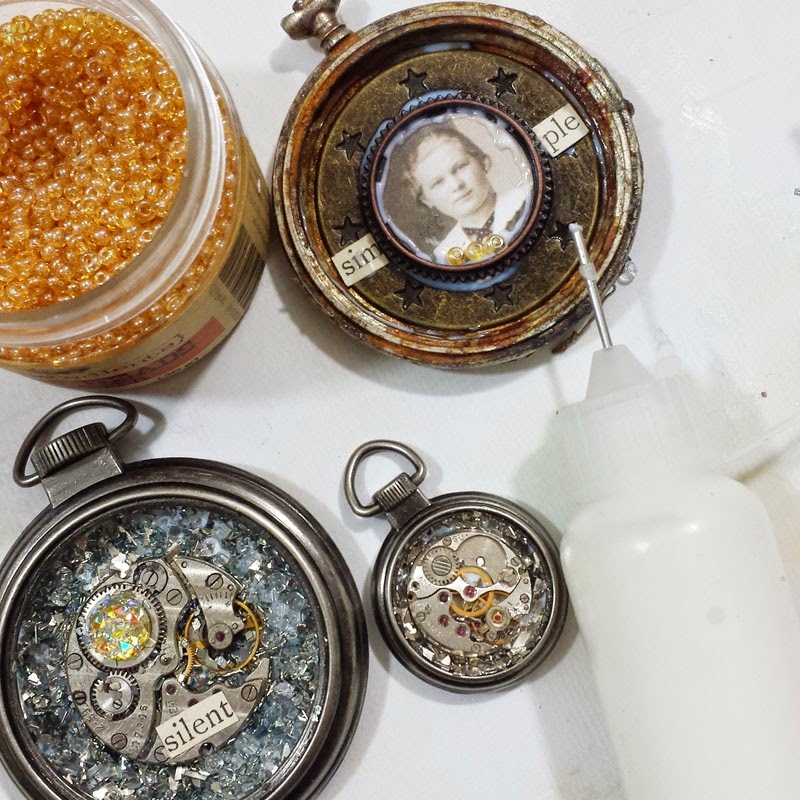 I also sprayed the "mechanical" pendant with a bit of shimmering spray (Primary Elements with water) to change the colors of the beads and glitter. 5. When my glue was dry and clear I mixed 2 ingredients of Ice Resin (in 1:1 proportion), stirred it and applied into my caps and watches. As it takes a longer time to dry it (especially in colder, more damp places - insert Ireland here) I took my final photos on the next day. You can also consider replacing Ice Resin with larger amounts of Ranger Glossy Accents. 6. In the meantime I took off the bottle cap from the biggest pendant. 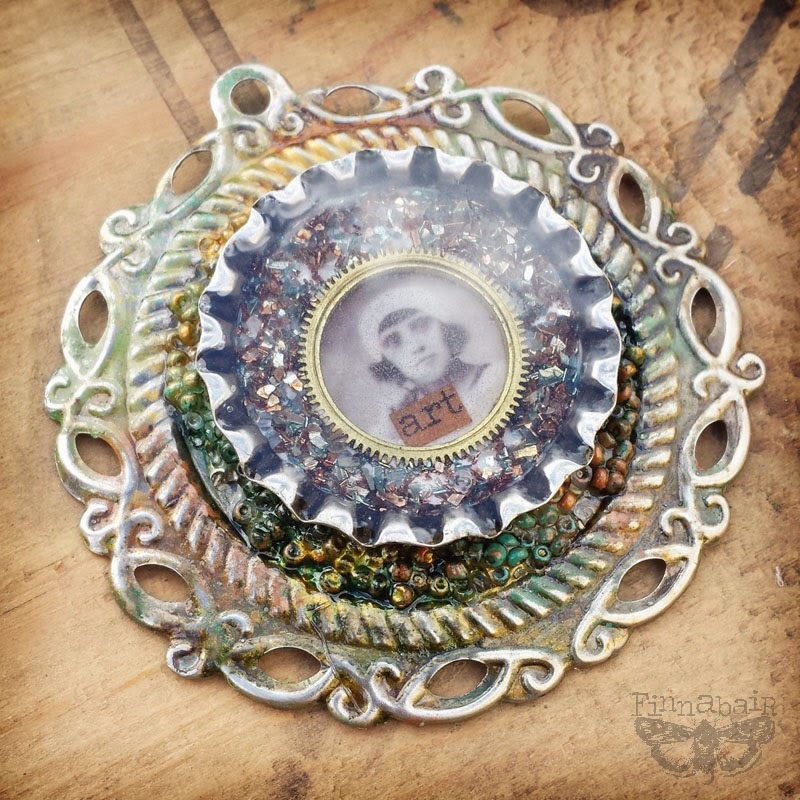 It wasn't glued - on purpose - because I wanted to add some color to metal and glass beads. 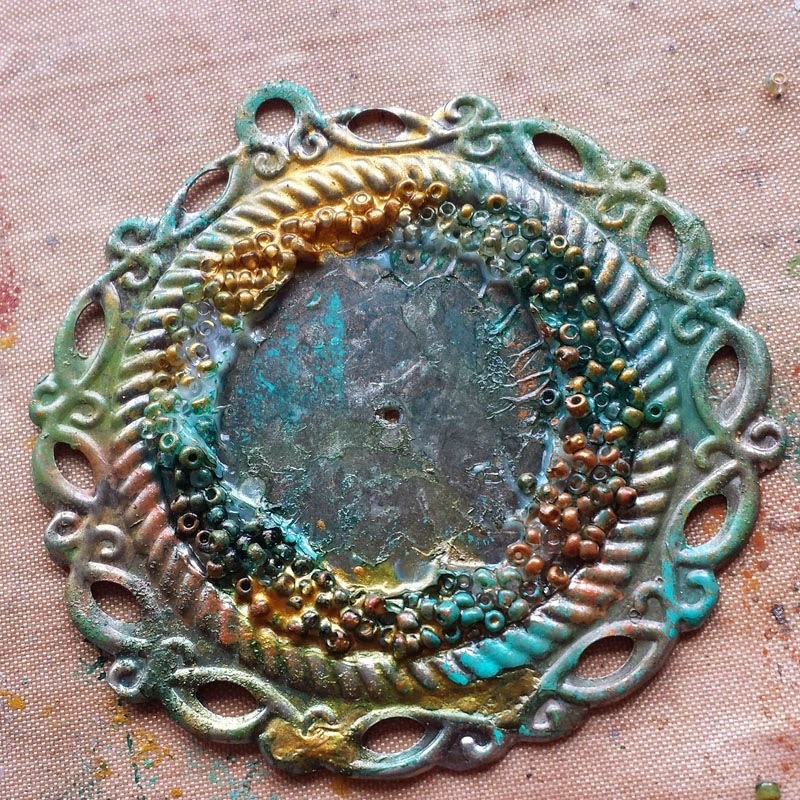 I used 3 colors of Vintaj Patina (Verdgris, Clay and Victorian Gold) to color my pendant and beads. I simply applied it with a sponge and dried. Here are other projects based on similar ideas - and I'm sure there's more coming! Thanks for visiting me again - and please make sure you will check beautiful projects by Lena and Riikka - it is just crazy what is my talented Creative Team making for you! These are just exactly what I love! Perfection Ania! LOVE LOVE LOVE!!! 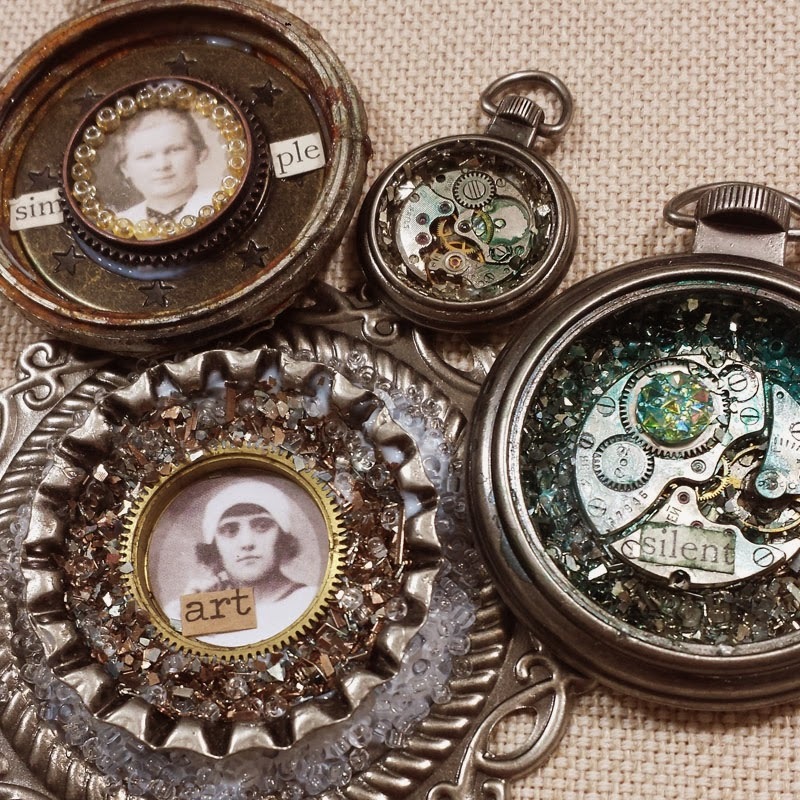 These are all little works of brilliant art, wow. It is matchless! Thanks a lot for inspiration! 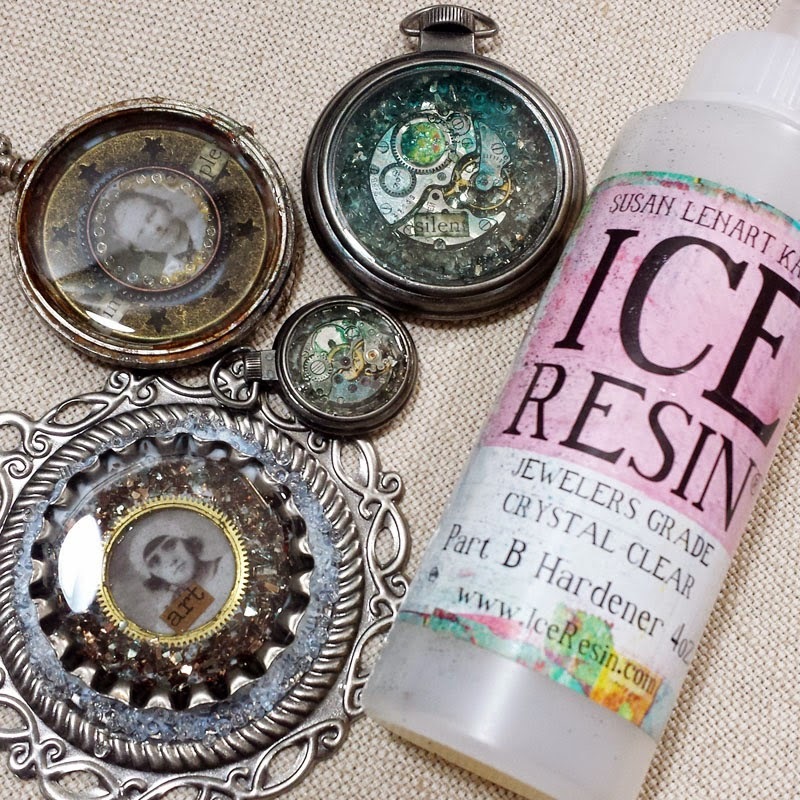 Last Christmas I made similar pendants for gifts using the ice resin with my 9 year old! It was so easy & fun! Thanks for the tip about the gels in a fine tip bottle, great idea! So inspired to play again using your mechanicals! 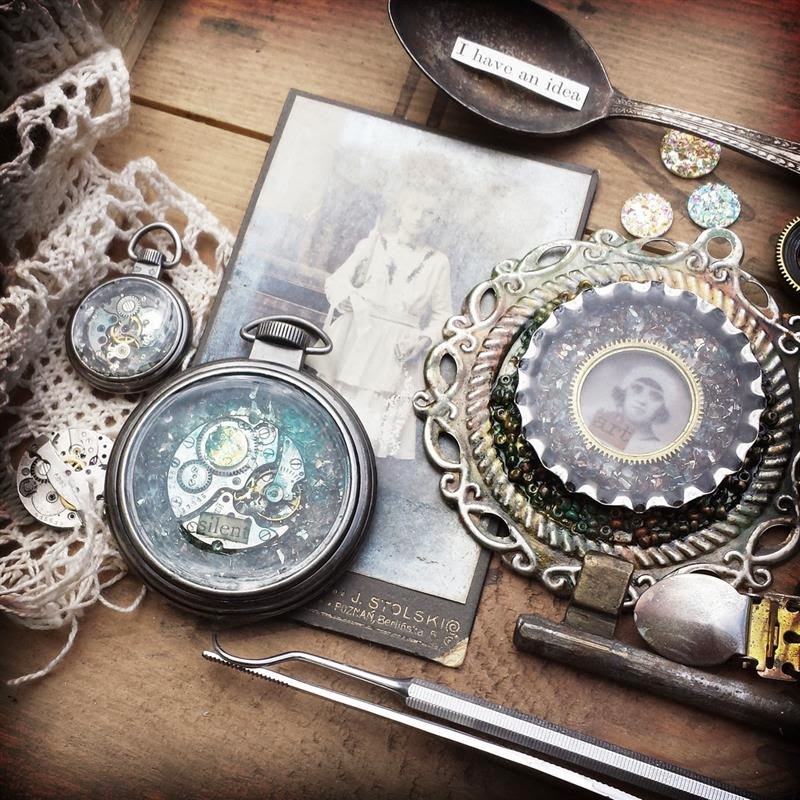 I would like to say I adore your fabulous creative work :-) Gorgeous pieces ! Man, these are FABULOUS!!! Love 'em! Oh I just love these. Thank you for sharing all the details of your fabulous art pieces! Love these!